SAN FRANCISCO -- Police in San Francisco are seeking the public's help in locating a missing elderly woman. 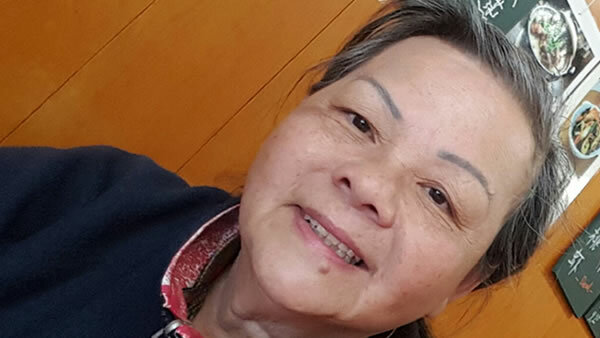 Mee Woon Chan, 70, was last seen at her home in the Richmond District between 5 p.m. Monday and 7 a.m. Tuesday. Chan is described as being around five feet six inches, 105 pounds, with brown eyes and black hair. She was last seen wearing a red jacket and a purple medical bracelet on her wrist. Chan is considered at risk because she suffers from Alzheimer's. Police said she is known to frequent the Westin San Francisco Hotel where she was previously employed, as well as the Botanical Garden and Japanese Tea Garden, and Baker Beach in Golden Gate Park. Anyone with information about Chan's whereabouts is asked to immediately contact 9-1-1 or (415) 553-0123.